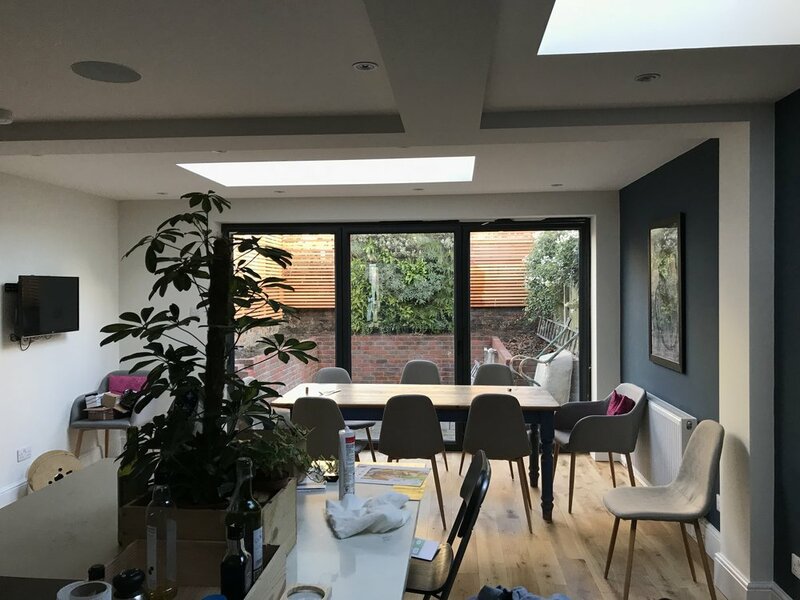 Meristem were delighted to work on this exciting greening project in North Finchley. 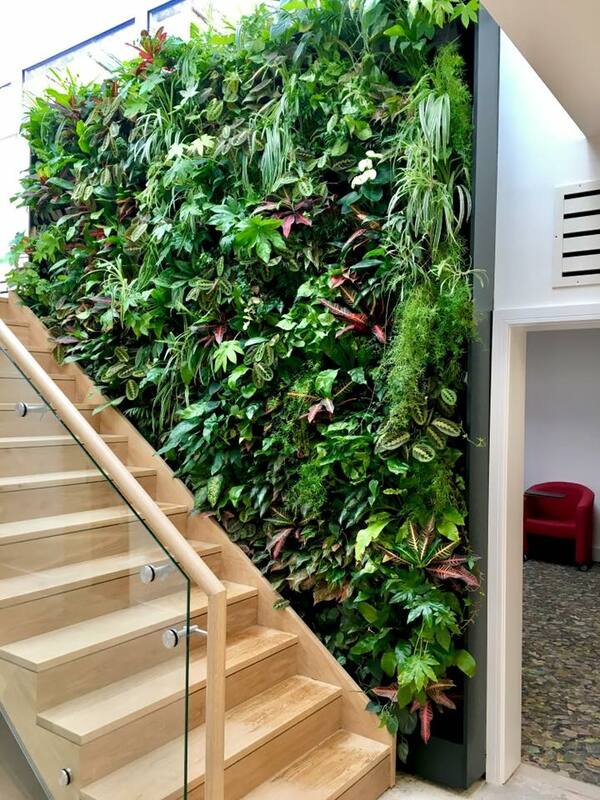 A substrate gravity-fed closed living wall system was installed to create a beautiful aesthetic focal point to the building. 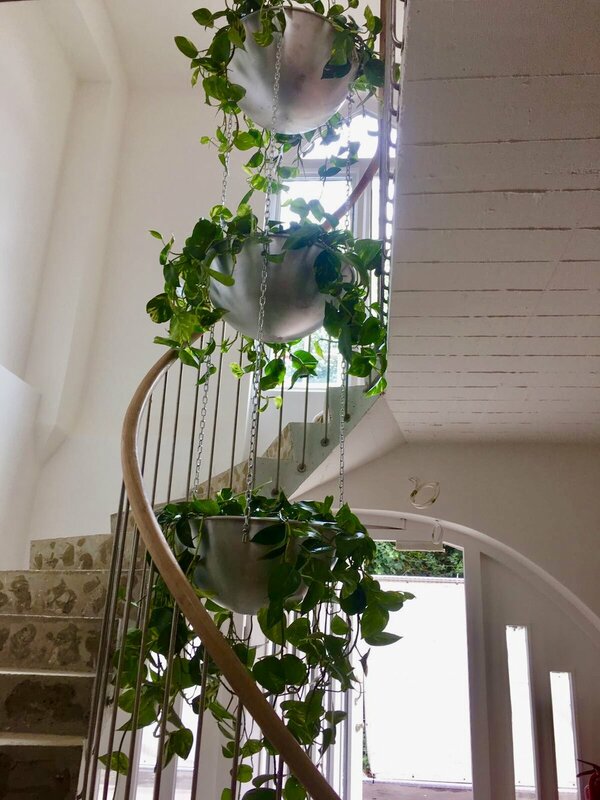 In addition to this a bespoke hanging planter system was designed and installed to form a vertical trailing effect of greenery through two floors. Internal greening solutions are a fantastic way to maximise oxygenation and absorption of PM10s (small particles and dust) and VOCs (volatile organic compounds) found in everyday items such as carpets, paint and cleaning products. 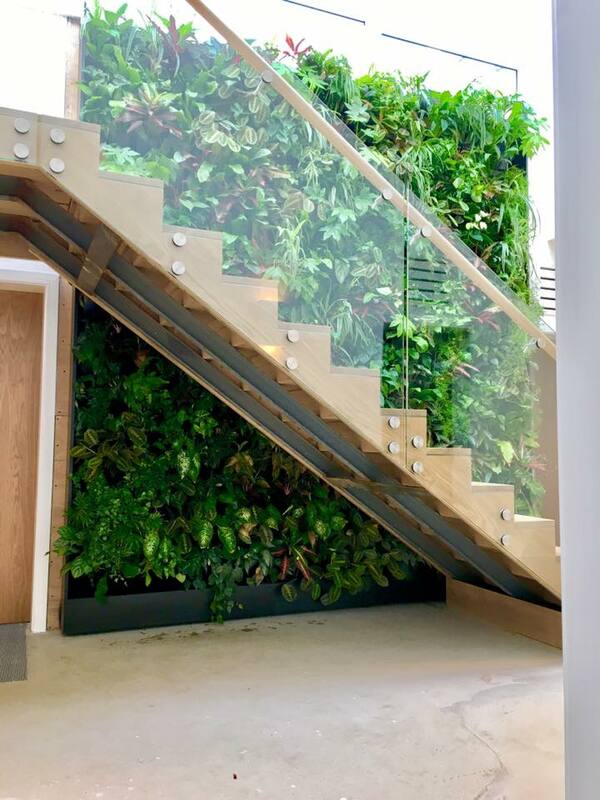 Internal vegetation can improve wellbeing, productivity and performance and health whilst improving the internal environment. 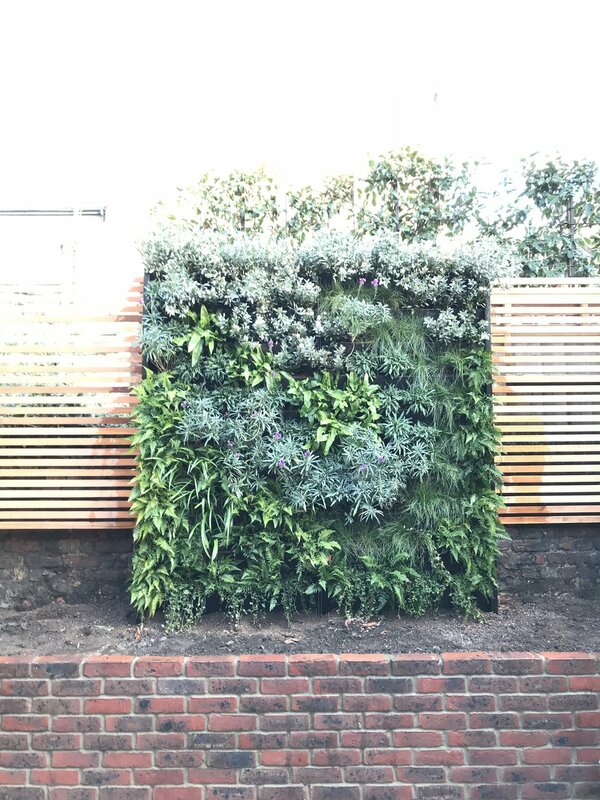 Our latest living wall installation has created beautiful backdrop to a residential garden in Clapham that draws the eye through the house. A mixture of ferns, erysimum, convolvulus, liriope muscari and festuca glauca elijah blue were used to bring striking colours to an urban back garden. A swirl of erysimum bowles mauve was planted in the centre of the wall to create a swathe of purple flowers which will be out in full bloom come spring. 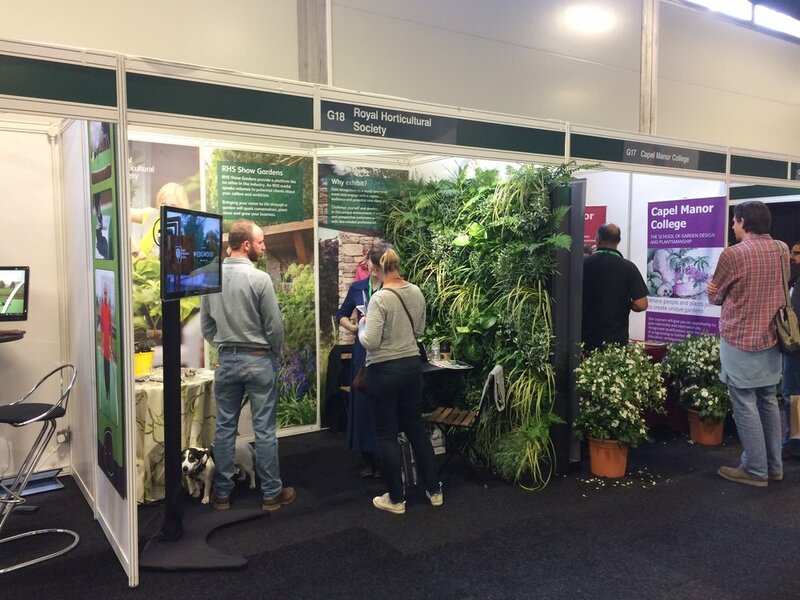 Meristem were delighted to work with the Royal Horticultural Society at the Landscape Show 2017. 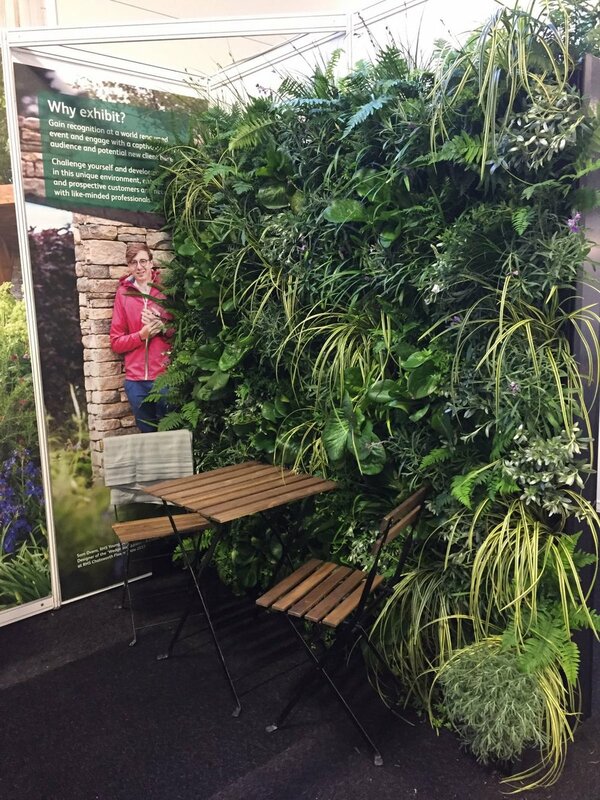 Our living wall created the perfect backdrop for the RHS to chat to those visiting their stand. We used a combination of bergenia, convolvulus, carex, ferns, erysimum bowles mauve and liriope muscari to create a natural aesthetic. 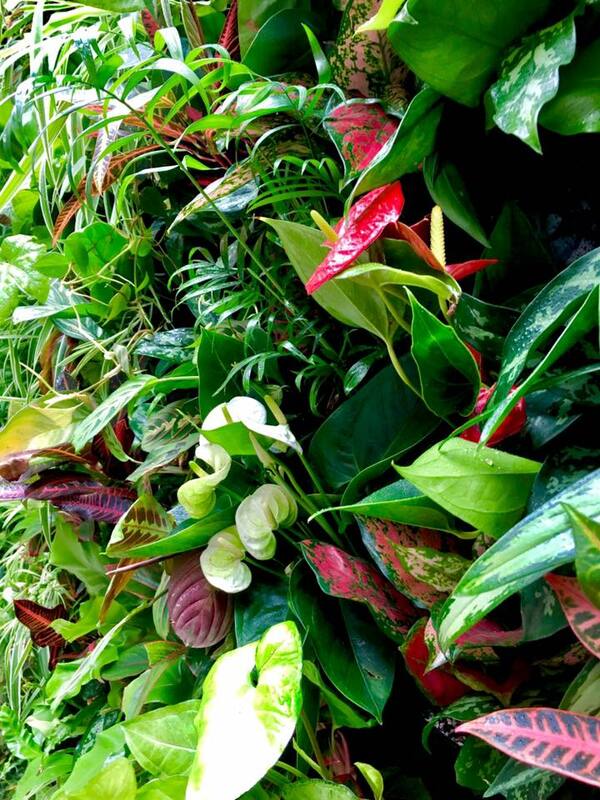 On a recent trip to Australia and Indonesia we stumbled across living walls everywhere. 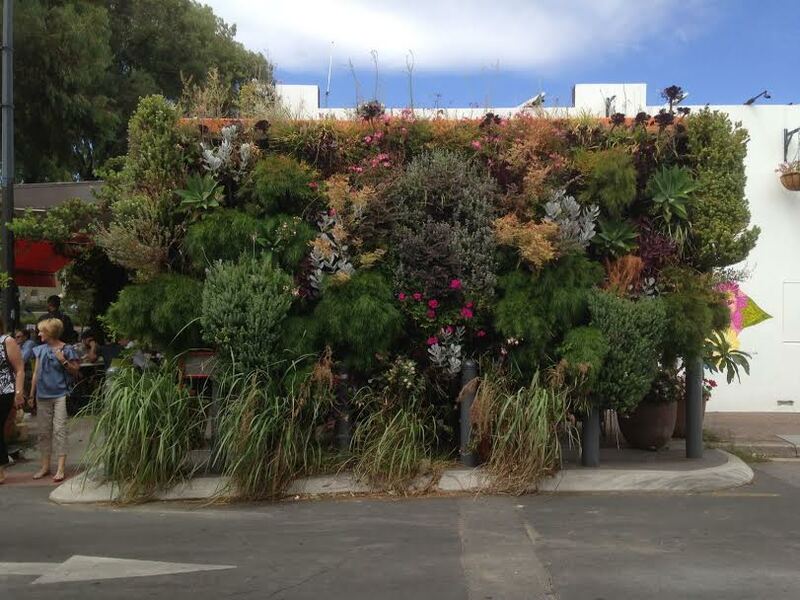 Have a look at the fantastic planting, the succulents were thriving. 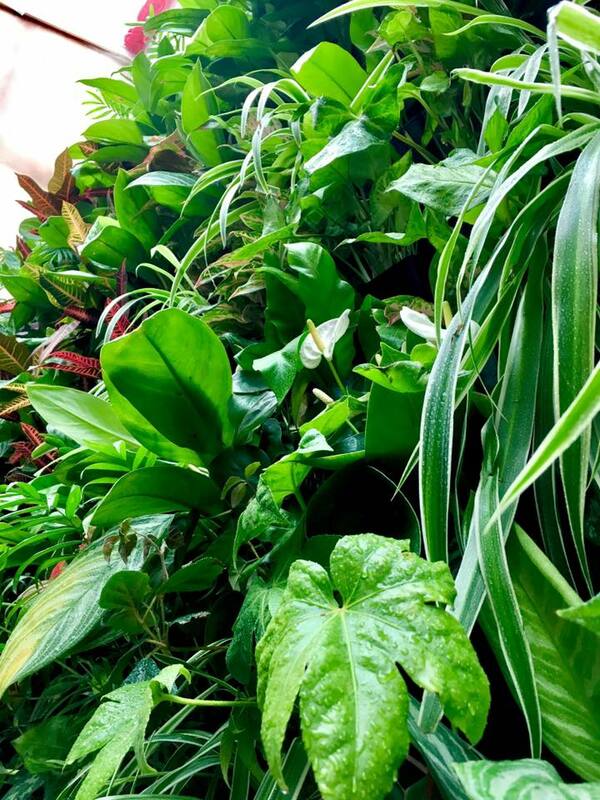 We need to have more living walls in public spaces in the UK, Indonesia and Australia seem to be years ahead of us in terms of urban greening.